Adults are living longer than ever before, but the risk of many health conditions, such as high blood pressure, increases with age. Board-certified family physician and age medicine specialist Raye-Anne Ayo, MD, offers personalized care for aging adults at Family Health Center, PLLC in Farragut, Tennessee. For optimal health throughout your golden years, call the office or book an appointment online today. What health issues do older adults face? These health concerns aren’t an inevitable part of growing older. As your personal health advocate, Dr. Ayo is committed to improving your health and adding life to your years using functional medicine. Age management medicine is a revolutionary medical approach that’s raising the bar for modern health care across all disciplines. With a focus on health instead of disease, age management medicine optimizes your health by preventing the degenerative effects of aging. She may also recommend lifestyle changes to keep you healthy, such as quitting smoking or limiting alcohol consumption. Dr. Ayo understands that no two patients are alike, which is why each age management plan varies based on individual needs. What should I expect from age management medicine? First, Dr. Ayo performs a thorough physical exam and review of your medical history. She evaluates your current fitness and assesses your level of risk for common age-related health problems. This includes extensive blood analysis and tests for early detection of diseases. Additionally, Dr. Ayo helps you prevent serious problems such as heart attack and stroke by maintaining healthy blood pressure and cholesterol levels. 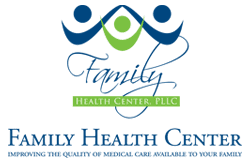 To take charge of your health, call Family Health Center, PLLC or book an appointment online today.